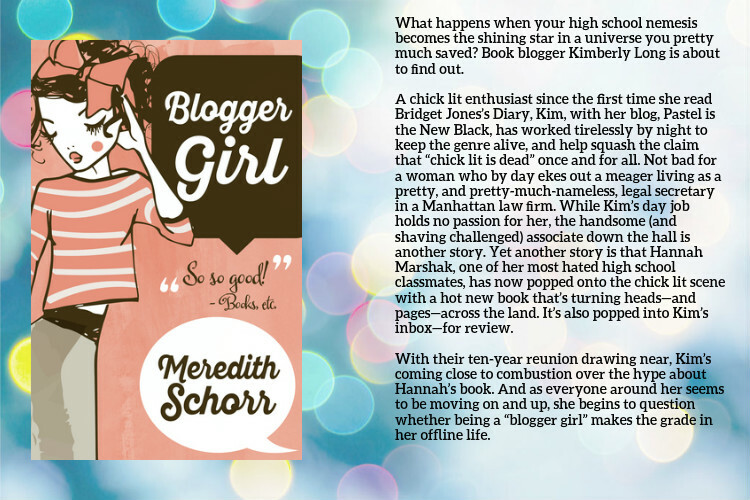 Blogger girl was a quick and easy read, and as you know I never consider this a bad thing. I read this book within tow days, and I found it to be super fun. The main character is a book blogger named Kim (hmm... Like me). Her friends call her Kimmie (Like me and spelled the same way), however sadly this is where the comparisons end. Kim's book blog, Pastel is the New black is insanely popular, reviews Chick Lit books and has a pretty cushy job in a lawyers office that lets her read and write reviews. This made me a little bit jealous of her, well that and her tiny body, huge books and wardrobe, but that is besides the point. childhood bully has written a book, and that it's Chick Lit to boot, that things finally start to crack. and signs that are telling her what she really wants, she keeps denying it. your dreams. Too bad Kim let her insecurities get the better of her. A born and bred New Yorker, Meredith Schorr discovered her passion for writing when she began to enjoy drafting work-related e-mails way more than she was probably supposed to. 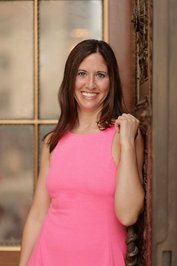 After trying her hand penning children's stories and blogging her personal experiences, Meredith found her calling writing romantic comedy, women's fiction, and contemporary young adult fiction. She secures much inspiration from her day job as a hard-working trademark paralegal and her still single (but looking) status. Meredith is a loyal New York Yankees fan, an avid runner, and an unashamed television addict.